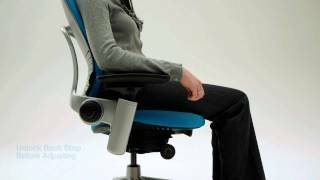 Leap incorporates a number of unique ergonomic features as a direct result of our user research discoveries.These features help make Leap as dynamic and supple as the human spine. 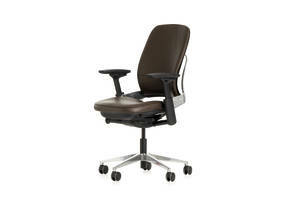 The flexible backrest ensures that the back is always fully supported. 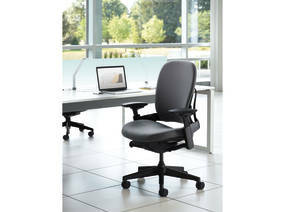 The separate upper and lower back controls can be adjusted to provide full support to any user. 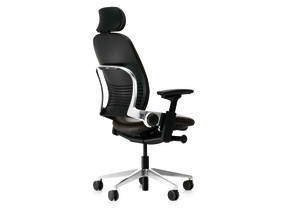 The dynamic seat takes the pressure off the lumbar vertebrae when reclining. The optional headrest relieves pressure in the neck. 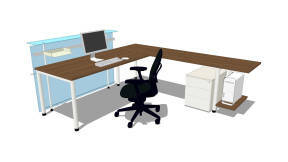 Leap is proven to reduce musculoskeletal disorders and increase productivity at work. People using it report significantly less back pain and discomfort, and their musculoskeletal symptoms are lower than those of people not using Leap. That’s why Leap is the high-performance chair that sets you free to be a star performer. 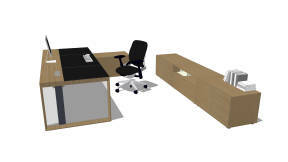 Just about every aspect of Leap is fully adjustable so you can configure it to your personal workstyle. The settings allow very precise adjustments to suit even the most demanding user. Leap adapts cleverly to your natural movements and has simple controls that are easy to find, understand and use. 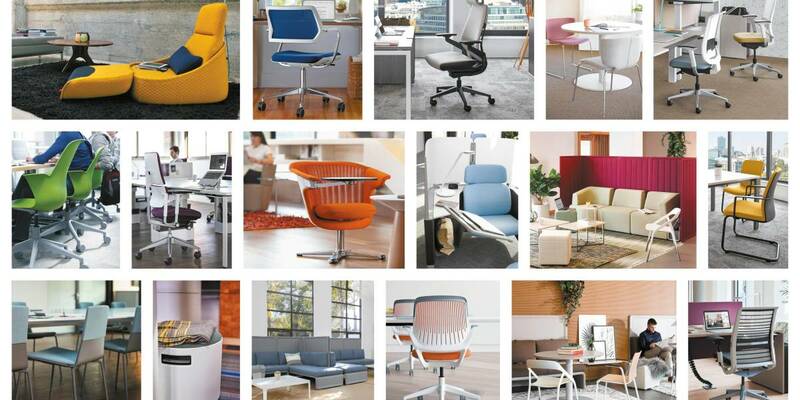 At Steelcase, we constantly invest in user research as part of our product design process. Leap was inspired by four key discoveries revealed in a unique global medical study we conducted over four years with 732 users. The upper and lower back regions require different amounts and different kinds of support. When you lean backwards, your pelvis moves forward. 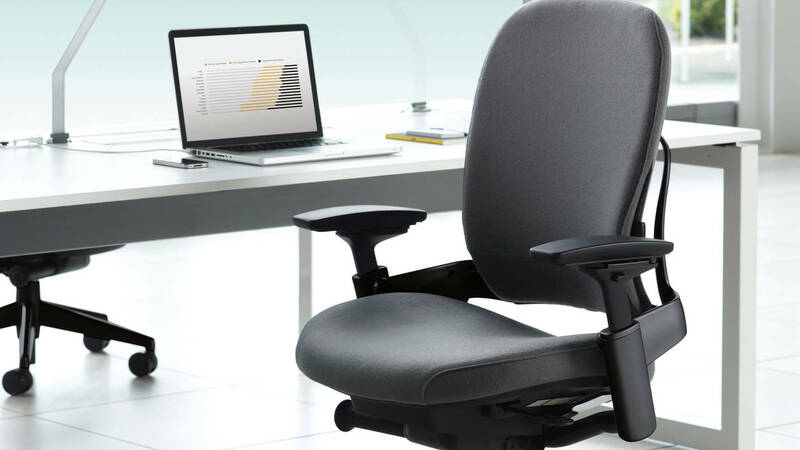 In an office user study with 200 people, those participants who received both a Leap chair and office ergonomics training greatly reduced their absenteeism and their back pain, and as a consequence, directly increased their productivity in one year. That meant each Leap chair paid for itself in less than 10 days. According to McDonough Braungart Design Chemistry (MBDC) strict protocol, Leap contains no hazardous materials. Leap is made from 23% recycled materials. Its packaging consists of cardboard and LDPE film (low density polyethylene) that both contain 30% recycled material. The production site in Sarrebourg (France) is ISO 14001 certified. Powder-coat painting is VOC-free and free of heavy metals. No gluing processes are used in assembly, and all urethane foam is water-based. 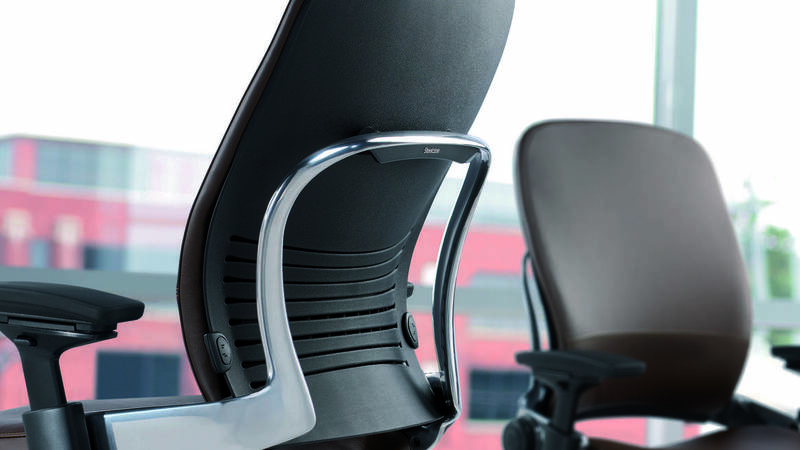 To reduce shipping distances, the Leap chair is manufactured close to customers, in Europe and North America. Leap’s weight has been educed by 20%, thus requires less energy for shipping. The textiles release no toxic substances during use of the product, thanks to the Oeko-Tex 100 Standard on the polyester fabric and the European Flower ecolabel on wool fabric. Leap is 98% recyclable by weight. Leap is easy to disassemble using normal hand tools, and will be taken back and recycled with the new Steelcase Environmental Partnership Program. 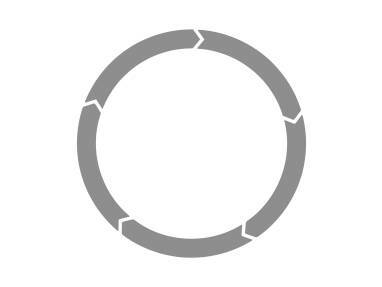 With Leap we can provide an Environmental Product Declaration (EPD), an environmental declaration according to the objectives of ISO 14025, based on Life Cycle Assessment (ISO 14044). The purpose of an EPD is to communicate clear and transparent information about a product’s impacts on the environment at all stages of its life cycle. 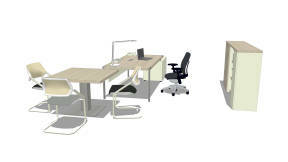 Leap complies with the French environmental certification “NF Environnement” (ISO 14024). 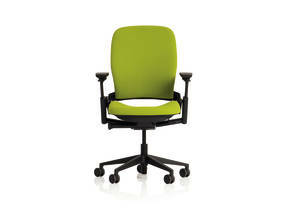 Leap earned a Cradle to Cradle Product Certification from MBDC in the United States. Leap is certified with the Indoor Advantage™ Gold certification, a high level certificate for indoor air quality.